If you've been asking yourself, "How can I find a list of local businesses in my area or near me?" then you've found the most logical answer. 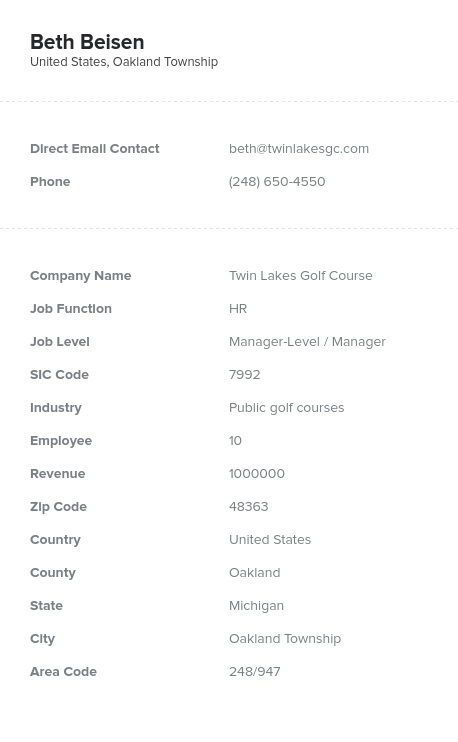 Bookyourdata.com offers a vast array of local email lists based on cities and ZIP codes so that you can contact local businesses more effectively. Create a better direct marketing campaign when you download highly qualified, human-verified local mailing lists from Bookyourdata.com! Master your next campaign when you focus on the communities, cities, and towns that are near you or your business's storefront or are strategically important to your B2B outreach. Focus in on the neighborhoods and areas that are most important, whether you plan to send out direct mail, target more effective emails, or cold-call based on location. You can start doing all of that within minutes because rather than offering only local mailing lists, our products come with all of the essential contact information you need: direct email addresses, accurate postal addresses, correct phone numbers, business names, titles, and much more. It's all of the important information you need to connect with local B2B sales leads, packed into one premium local business email list. This answers the question of how to find new businesses. "In my area," you might ask yourself, "are there businesses who would be interested in my products or services?" To find out, create a campaign using our products and start to test your marketing theories. There's so much potential for experimentation and sales generation! With local email lists like this, you can zero in on your exact audience and email leads with targeted, personalized messages that highlight your presence in their community. On the other hand, you can find a business's local mailing address to inform them of your presence nearby via postal mail. Buy an affordable, all-in-one product that doubles as a local email database and mailing directory and reach more of your potential nearby, local business customers today!